Can Stem Cell Transplants Cure Autoimmune Disease? Stem cell research is an exciting field with great potential for people with autoimmune disease. When we see the headlines, it’s easy to believe a cure is already here, especially since some commercial clinics promise that. In today's podcast, we separate the hope from the hype. 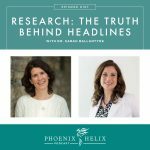 We talk about current clinical trials and what they’re showing, the risks vs. benefits of these treatments, which autoimmune diseases are the focus of the studies, and what we still have to learn. 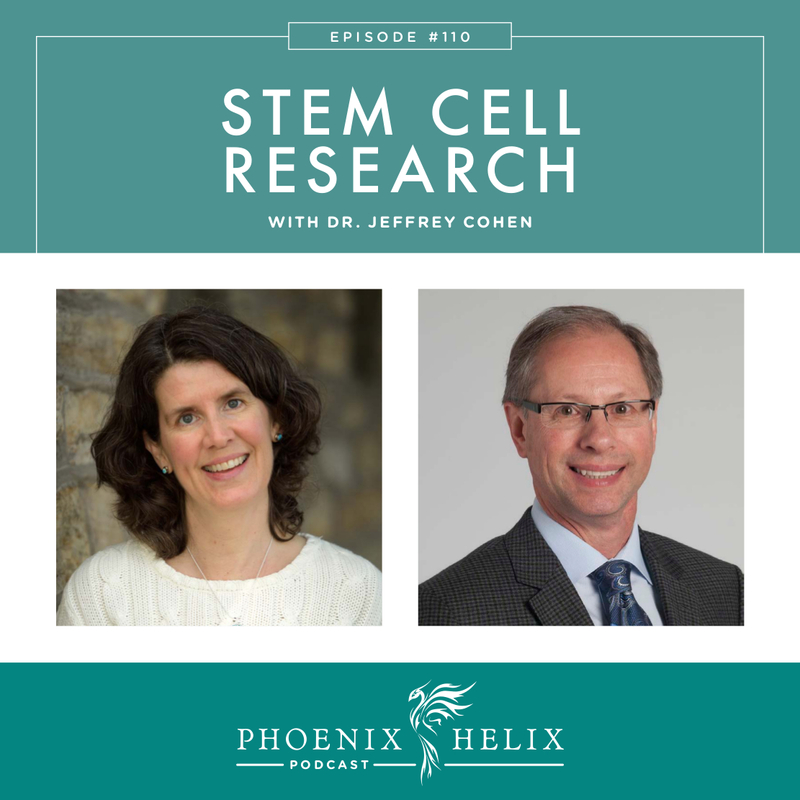 My guest is Dr. Jeffrey Cohen, an expert on both multiple sclerosis and stem cell research. He's a practicing neurologist and the director of the Mellen Center for Multiple Sclerosis Treatment and Research at the world-renowned Cleveland Clinic. He's also been a lead researcher on a number of clinical trials into treatments for MS, including stem cell therapy. A neurologist who specializes in multiple sclerosis, he has an active clinical practice, and he’s also the director of the Mellen Center for Multiple Sclerosis Treatment and Research at the world-renowned Cleveland Clinic. He’s been a lead researcher on a number of clinical trials into treatments for MS, including stem cell therapy. 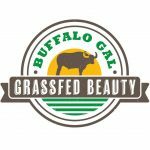 As we head into the holidays, Buffalo Gal has a number of gift sets available. They also sell gift certificates. Buffalo tallow is nutrient-dense, rich in omega-3 fatty acids, clean-smelling, and deeply emollient. It's a potent skincare ingredient because it closely resembles the oils in our own skin, and it can be especially helpful for people with dry, sensitive, or allergy-prone skin. As we go into winter in the Northern Hemisphere, I recommend everyone give these products a try. Their product line includes: tallow balms, body butters, cleansing bars, toning mists, hot oil cleanse, lip whip, toothbrushing soap, facial masks, fizzing bath balm, and more. This is a busy time of year, full of pressures and temptations. I have a whole series of articles on my blog, to help you navigate a flare-free holiday season. 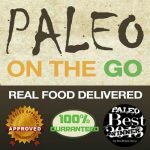 Also, tune into Episode 6: Your Paleo Holiday Survival Guide. A cell that's able to reproduce and has the unique capability of becoming any type of cell in the body. Most organs in the body have a stem cell population, whose purpose is regeneration and repair of cells for that organ. Stem cell types are differentiated by their location in the body: the brain, the heart, the bone marrow, etc. HSCT – Bone marrow transplants that are designed to correct the immune system systemically. This is the transplant which currently has the most research and is showing the most promising results, particularly for people with relapsing remitting multiple sclerosis (RRMS) and scleroderma. The goal with HSCT is long-term remission, but it doesn't regenerate damaged tissue. Regenerative Transplants – Stem cell transplants targeted to a specific site in the body, with the goal of regenerating damaged tissue. This is a newer field of research and many methods and types of stem cells are being tested. At this point, much is still unknown. Most of us are familiar with the idea of bone marrow transplants as part of cancer treatment. In that situation, the goal of the chemotherapy/radiation is to kill the cancer cells, and the immune system becomes damaged as a side effect. The bone marrow transplant is then used as a rescue procedure to restore/replace the damaged immune system. The transplant cells come for a matched donor. With autoimmune disease, replacing the immune system is the goal, rather than the side effect of treatment. Autoimmune research “piggybacked” on the knowledge gained through cancer research. For autoimmune disease, the patient's own cells are usually used for the transplant. There's now over 20 years of research into HSCT for autoimmune disease. Research results: Multiple sclerosis has been the most widely researched, and the results are impressive. The majority of patients with active RRMS in the clinical trials achieved long-lasting remission without the need for medication. In fact, there is a new clinical trial recruiting participants which will compare HSCT to medication, and may result in a change to the standard course of treatment. However, HSCT hasn't been effective for people with secondary progressive multiple sclerosis (SPMS). There have also been promising results for scleroderma. And smaller studies have been done with other rheumatic diseases and inflammatory bowel disease. Risks & side effects: While HSCT is showing a lot of promise, this treatment comes at a cost. The chemotherapy that prepares the body for the transplant has many side effects, including hair loss, nausea, fatigue, risk of infection, fertility problems, early menopause, and an increased risk of developing cancer and other autoimmune conditions, such as Hashimoto's thyroiditis. In addition 1% of people having HSCT in clinical trials have died as a result of the treatment. However, the mortality rate is improving and now stands at .3% (1 in 330 people). There is great hope in this area of research, because its goal is to regenerate damaged tissue and restore lost function in a wide variety of diseases, including autoimmune disease. However, this research is complex and much is still unknown. At first, the theory was that damage occurred because there weren't enough stem cells naturally present in the body to repair tissue. Early research focused on adding more stem cells in the area of damage. This was challenging for two reasons: (1) It was hard to obtain the specific stem cells needed, and (2) It can be dangerous to inject directly into damaged tissue. Research then discovered that stem cells were already naturally present in the damaged areas of the body, but simply weren't “doing their job”. So, the question became: Why aren't the body's natural stem cells repairing damaged tissue, and how can we help restore that function? This is where mesenchymal stem cell (MSC) research comes in. MSCs are a type of stem cell that have special properties: (1) They dampen inflammation and modulate immune system activity, (2) They support the body's natural repair processes, and (3) They naturally seek out sites of inflammation and damage, traveling to the areas where they are needed. This means they might not need to be injected directly into damaged tissue. MSC's are the focus of Dr. Cohen's research. These are also the cells offered in many of the commercial clinics. Research results: Because this research didn't have the headstart HSCT did, it's still in its early stages. Early research was done in mice. Human trials have focused primarily on on proving safety for this treatment. Having done that, new trials will be looking at efficacy. There have been small pilot studies done in MS, ALS, lupus and Crohn's disease which all showed improvements. Risks & side effects: Unlike HSCT, there is no need for chemotherapy to suppress the immune system in advance, removing those risks. MSCT has been proven generally safe when performed under careful conditions. However, these transplants do carry some risk, especially when done outside of clinical trial settings. If the transplant cells are contaminated, this can lead to serious infections (i.e. meningitis). While the hope is that MSCs travel to where they are needed in the body, there is the possibility that they will go “rogue” and create the wrong type of tissue in the wrong place (i.e. bone within muscle). The highest risk is that they can create cancer (while rare, this has happened). What still needs to be learned: (1) Dose – the optimal number of stem cells to successfully regenerate tissue. (2) Administration – whether they should be injected into the bloodstream, spinal fluid, or another method. (3) Length of effect – how often the therapy will need to be repeated. (4) What's the best way to grow the cells for transplantation? (5) Which is more effective – donor cells, or cells derived from the patient? The Phoenix Helix Pack is a great holiday gift for yourself, or someone you love. It includes some of my favorite items from their menu, discounted 10%. They also sell gift certificates. Step 1: Determining eligibility – Do you have the type of MS that's most likely to benefit from HSCT? This would be RRMS with frequent relapses or active MRI activity despite medication. 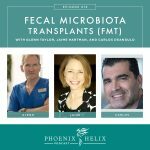 In addition, your health will be assessed for any complicating factors that might make the transplant unduly dangerous. Step 2: Harvesting the stem cells – You will receive medications that drive the stem cells from your bone marrow into your blood. The stem cells are then extracted through a process called leukapheresis. Step 3: Conditioning regimen – This is high-dose chemotherapy designed to destroy your old immune system prior to the transplant. This part of treatment comes with high side effects: nausea, fatigue, hair loss, risk of infection, etc. Step 4: Stem cell transplant – The cells that were isolated previously are reinfused into your blood. Recovery: The first 2 months after transplant are the most complicated. Usually you will stay in the hospital during this time. After that, people tend to recover well, with very few delayed side effects. How I'm Feeling After My ‘MS Body' Reboot? – A journalist who was deemed unsuitable for a trial in the UK, paid for a stem cell transplant in Mexico and wrote about her experience. As we see success in one disease, researchers in other diseases become motivated to pursue it. Dr. Cohen believes that stem cell research will expand dramatically in the coming years. Clinical trials have very detailed protocols, professional oversight, experimental controls, careful risk management procedures, and transparency about everything from patient selection to each step of the transplant process. Once the trial is complete, the results are published – both the positives and the negatives. This is how research builds, theories are proven or disproven, and procedures become safer and more effective. While the pace may seem frustratingly slow, this is complex research with many questions to resolve before it's ready for widespread use. Commercial clinics sell directly to consumers. On paper, they appear to offer similar treatments, but there is no oversight and no transparency. They often use the language of cure, exaggerating research claims, minimizing risks, and not disclosing the research questions that remain unproven. They're more likely to share testimonials than treatment failures. There is also minimal patient follow-up after the procedure. Patient advocacy groups like the National MS Society are great resources. ClinicalTrials.gov is where you'll find a list of ongoing and newly recruiting stem cell studies. Patient education website: A Closer Look at Stem Cells. Dr. Jeffrey Cohen has an active clinical practice at the Mellen Center for Multiple Sclerosis Treatment and Research and is accepting new patients. He also has several clinical trials that he hopes will be enrolling new participants within the next 6 months.